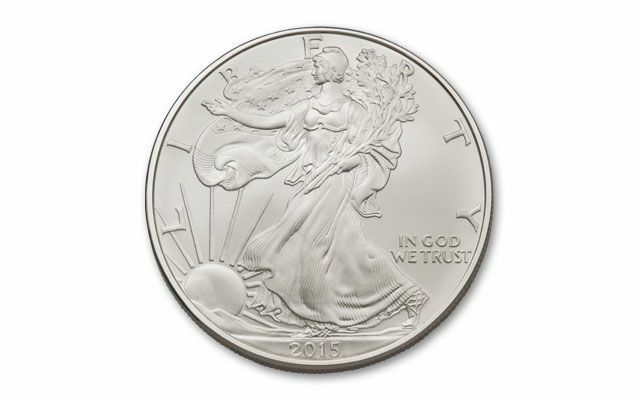 This 2015 Burnished Silver Eagle was purchased on the 1st Day of Issue (3/26/15) in Baltimore, Maryland. The Eagle grades perfect Specimen-70 (SP70) by Professional Coin Grading Service (PCGS). This is the FIRST time ever that a Burnished Silver Eagle has been designated as 1st Day of Issue. Each PCGS coin label features the actual location of purchase at the Baltimore coin show. This is the FIRST time ever that a Burnished Silver Eagle has been designated with the location where it was actually purchased. 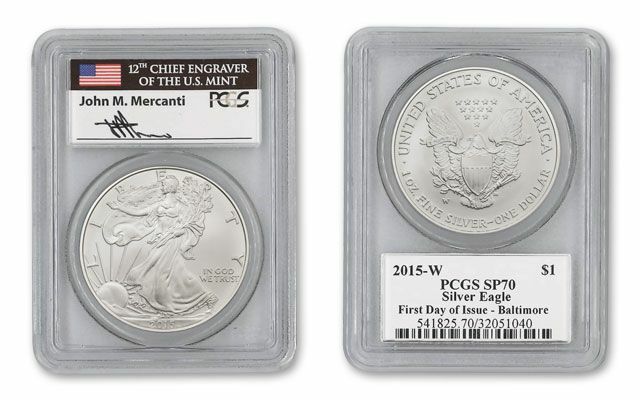 Each PCGS coin label features the hand-signed signature of the 12th Chief Engraver John Mercanti, the designer of the reverse of the Silver Eagle. Each coin is also graded by PCGS in flawless SP70 condition. 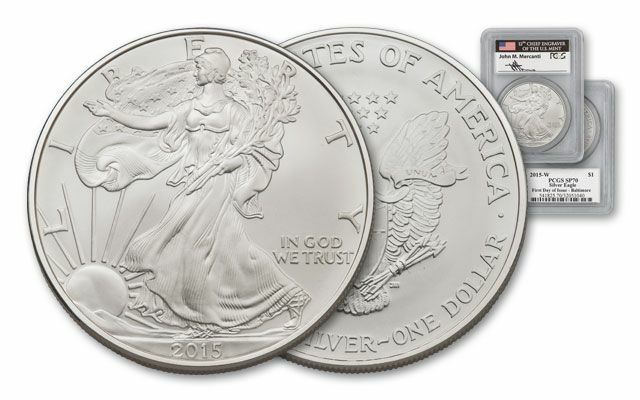 This is the FIRST year that PCGS has graded Burnished Silver Eagles as Specimen (SP) instead of Mint State (MS). 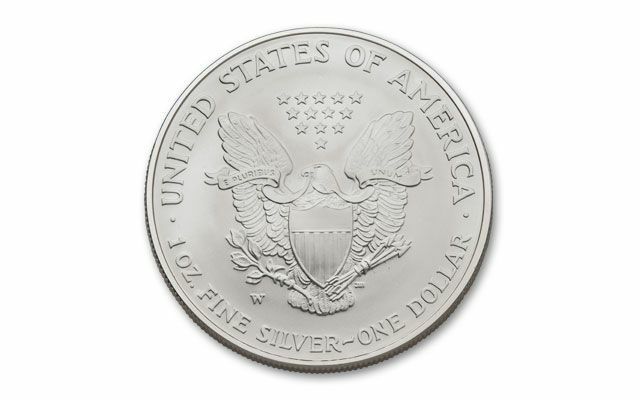 The only way to distinguish a BU and Burnished Silver Eagle was by the mintmark W on the Burnished. Burnished Eagles are specially struck and are now graded with SP (Specimen) at PCGS. This coin is entirely exclusive available from Govmint.com. These cannot be found anywhere else!